When Is The Right Time To Invest In Product Marketing? — Stratomic. Product marketing is one of those functions that is very loosely defined because every organisation approaches the function differently. 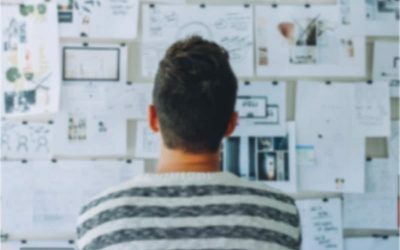 Typically, product marketing is introduced into a business when several tasks from product, marketing, sales and customer success collide in a world of uncertainty. Who should be responsible for defining the product requirements? Who in your company is responsible for pricing? 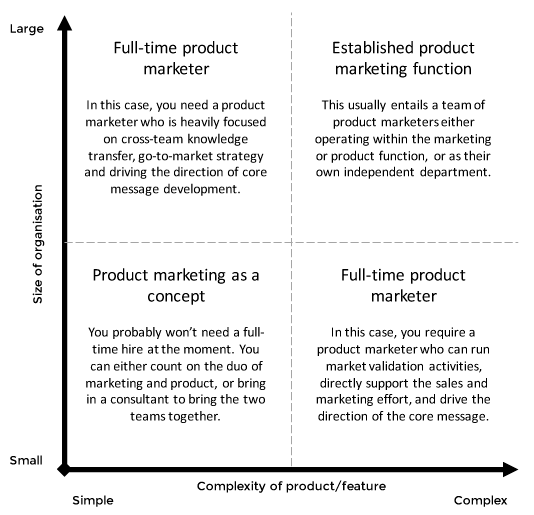 Which function defines product messaging? Who is the product’s customer champion? Who is responsible for managing market research? When is the right time to bring someone in to manage this? We’ll answer this question throughout this article. Even in that context, it’s easy to see how the role of the product marketer can be extremely different from one organisation to the next. So how do you find a product marketer that is ideally suited to your organisation? First, we must start with what product marketing is – and isn’t. Product marketing’s role can be simplified to one goal: to obsessively get into the mind of your customer to identify, attract and delight your ideal buyer. This puts the customer at the heart of everything product marketing (and the business) does. Businesses that become more customer-centric grow faster. That has never been truer than it is today, where every consumer and prospect has a voice on social media. 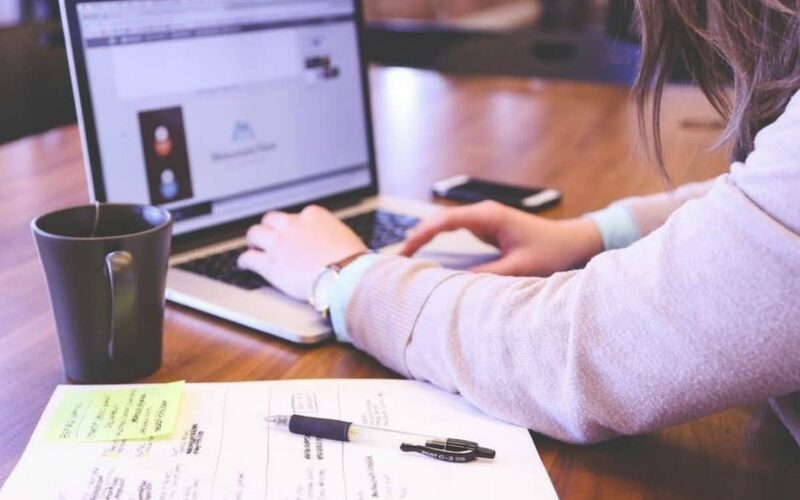 The marketing department takes over to develop and execute channel strategies, including demand generation, SEO/SEM, promotions, social media and so on. That said, it’s important for the product marketer to understand how and where strategies are being activated. Information on how what and where marketing activities were successful (or not), gives hugely important insight into the mind of the target customer. The best time to invest in product marketing is at the same time – or shortly after bringing your first product manager on board. However, it requires much more thought than that because the specifics of the product marketing function are unique to your organisation. How complex is your product portfolio? In smaller companies, it’s very easy to get everyone from product, customer service, sales and marketing on the same page. You just call a company meeting to introduce the new product/feature. Everyone asks questions, and you move forward to plan the launch. 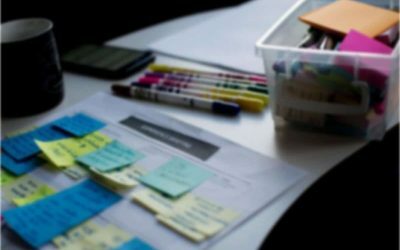 In early-stage startups, your product manager and marketing manager could work together to divvy up most of an early stage product marketer’s workload. However, at some point, they become too busy to deal with the workload and it gets left behind. In the very early stages of a startup, a product-driven CEO will most likely be wearing the product marketer’s hat. If you’re developing a complex product, it is wise to invest in product marketing early. Most businesses won’t do this, but should seriously consider it in their hiring plan. The product marketer will focus on breaking down the barriers of complexity for both customers and prospects as they’re validating the market. They’ll work to distil your product’s features down into the elements that deliver immediate value for your prospects. This will help twofold. It will help your prospects ‘get’ your product, and it’ll help you focus your engineering efforts on the most valuable features. Thirdly, if your prospects and customers are struggling to quickly ‘get’ the value of your product, a product marketer will help you to discover that value. Do your customers struggle to explain your product to other customers? Are you struggling to piece together a coherent message in your website or email copy? Does your whole company intuitively pitch your product in the same way? If you struggle with any of these, choosing to invest in product marketing is going to help you. It’s not a question of if you need a product marketing function, but when. As your company grows, the need for someone to focus on message and positioning becomes clear. The product marketer sits between product and engineering, and the customer-facing elements of your business (sales, marketing and customer retention), but their relentless focus on the customer puts them in the prime place to get to the bottom of the challenges that often sit in no-man’s-land. When you’ve decided to invest in product marketing, finding the right candidate is a challenge because they sit at a key intersection between building products that customers want and messaging those products into your target buyer’s consciousness. The best product marketers have a combination of marketing and product experience. Usually, product marketers start in either marketing or product and get drawn to the other. Product marketing is not either/or – an intimate respect for both product and marketing is essential. Good candidates love to explore the details of the product; they’re curious by nature. They must love research – they enjoy spending their time understanding markets and businesses. They’re naturally collaborative and cross-functional – they need to be self-aware and must build (and hold) meaningful relationships. They also strive for feedback from all sides. They really must want to develop a product that really serves the customer’s need. In part two, we’ll cover the process of integrating product marketing into your business, how to measure product marketing success and how to ensure your product marketing department drives continued value across your business.